A: Yes, Sean, there is. You cannot do this with the command button wizard, but I cover this technique in my Access 202 and 204 classes. 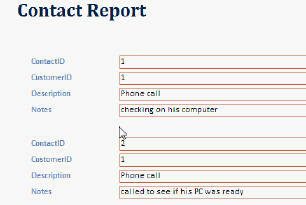 You can create a query that only shows the currently open customer record and then base your report off of that query. It will then display only the records you want. Watch the free sample video below for more information.